Chekhov had at first written stories only for financial gain, but as his artistic ambition grew, he made formal innovations which have influenced the evolution of the modern short story. To support his family and to pay his tuition fees, he wrote daily short, humorous sketches and vignettes of contemporary Russian life. 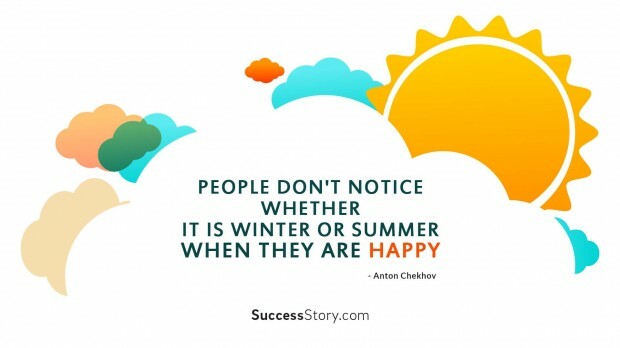 "People don't notice whether it is winter or summer when they are happy "